1987－2008 Member of the Asian Regional Program Committee, International Association of Group Psychotherapy. 2004－2007 Educational and Training Committee member, International Association of Group Psychotherapy. 2006－2009 Scientific Program Committee member, and Referee, International Association of Group Psychotherapy and Group Processes. 『ニューサイコセラピィ――グローバル社会における安全空間の創成 (ICU21世紀COEシリーズ 第 3巻) 』（編著）. 2008年．　風行社. No, Y. (2011b). Mechanism of　Dynamic　Psychotherapy　for　Manic-Depressive　Psychosis. -Process　of　Arousing　Sense　of　Self　Aiming　Stable Self Identity-. International Journal of counseling and psychotherapy, Vol.9, pp25-62. 能幸夫（2005）. 安全空間ネットワーキング　医療と家族と学校と　現代のエスプリ別冊：心の安全空間－家庭・地域・学校・社会　小谷英文（編）　至文堂　pp. 能幸夫 (2000). スモールグループ形式を用いた集団精神療法訓練プログラムの基本構造とその意義　集団精神療法, 16（1）,pp.34－42. 能幸夫 (2003). 精神分析的集団精神療法のグループ・サイコセラピストの仕事―リーダーシップ機能を中心とした実践上の基本視点―. 集団精神療法, 19（1）,pp.45－56. 能幸夫. (2011). 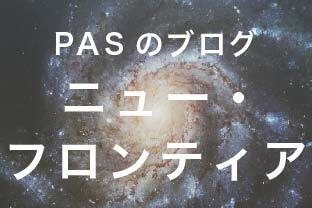 日常の実践をどうまとめるか ―臨床心理学における実践研究モデルに基づいた実際―　集団精神療法, 27(1), pp49-54. 橋本和典（1998）．　コンバインド・セラピーにおけるシステム階層性－アイソモルフィーにみる治療的促進効果－　集団精神療法, 14, 67-71. 橋本和典・西川昌弘・河野貴子（1999）．　H. Eriksonの集団同一性概念の治療的仮説構成－青年期集団精神療法における有効性の検討－　集団精神療法, 15, 63-72. 橋本和典（2008）．　倫理と青年期集団精神療法　集団精神療法, 24, 30-40. Hashimoto, K. (2009). Psychoanalytic psychotherapy for contemporary hysteria: A late-adolescent female case of dissociative hysteria with self-destructive problems. International Journal of Counseling and Psychotherapy,7, 79-85. Kotani, H., Adachi, T., Nishikawa, M., Nakamura, Y., Hige, K., Hashimoto, K., Nishiura, K., Hashimoto, M., Hanai, T., Ishikawa, Y., Sasaki, H., & Ogimoto, K. (2013). Struggling with the fourth disaster in East Japan. Forum: Journal of International Association for Group Psychotherapy and Group Processes, 6, 79-99. 橋本和典（2016）．福島における心理療法家の課題－震災PTSDの治癒・治療・予防　小谷英文（編）　危機事態における力動的心理療法（国際力動的心理療法学会第19回・20回大会論文集）　東京：国際力動的心理療法学会　98-106. 橋本和典（2016）．福島における希望の実験－福島復興心理・教育臨床センターの試み　小谷英文（編）　危機事態における力動的心理療法（国際力動的心理療法学会第19回・20回大会論文集）　東京：国際力動的心理療法学会　112-126. 橋本和典（2016）．喪失と較差力学－困難患者と大震災PTSD心理療法の観点から　International Journal of Counseling and Psychotherapy, 12-13 Combined, 19-26. 橋本和典・高田毅（2016）．福島復興心理・教育臨床センターの成果と展望　International Journal of Counseling and Psychotherapy, 12-13 Combined, 99-111.